The 73rd Annual Golden Globe Awards Sunday night spurred more than 19 million posts, likes and comments from more than 9 million Facebook users. Lady Gaga wins best supporting actress in a limited series or a motion picture made for TV. The Martian wins best motion picture, musical or comedy. Leonardo DiCaprio wins best actor, motion picture, drama for The Revenant. Taraji P. Henson wins best actress in a TV series, drama for Empire. Mozart in the Jungle wins best TV series, musical or comedy. Mark Wahlberg and Will Ferrell present nominees for best screenplay. Amy Schumer and Jennifer Lawrence share clips from best motion picture, musical or comedy nominees Joy and Trainwreck. Ricky Gervais Introduces Mel Gibson. Kevin Hart’s and Ken Jeong’s onstage moment. Mr. Robot wins best TV series, drama. The Hollywood Foreign Press Association and NBC posted exclusive content on the two social networks. The official Facebook arrivals platform on the red carpet featured starts such as Alicia Vikander, Viola Davis and Hart answering fans’ questions, as well as a custom 360-degree camera. Acclaimed photographers Inez & Vinoodh shot winners and presenters backstage in the official Golden Globes Instagram portrait studio (see photo below of Henson). Live-streaming feature Live for Facebook Mentions was used to answer fans’ questions by celebrities including DiCaprio, Lawrence, Henson, Brie Larson, Gael Garcia Bernal and Lady Gaga. 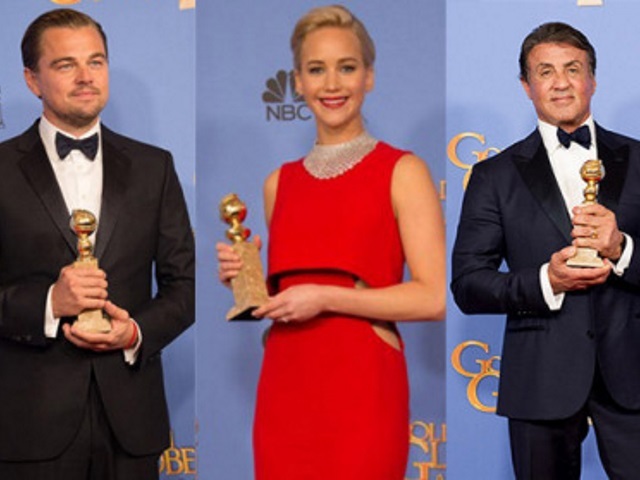 Readers: Did you interact on Facebook or Instagram during the 73rd Annual Golden Globe Awards Sunday night?